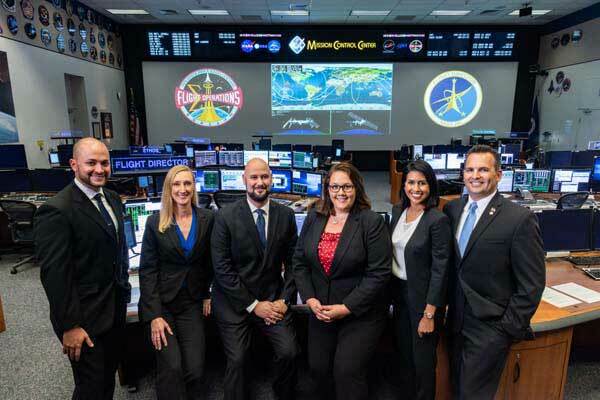 The new flight directors will begin extensive training on flight control and vehicle systems, as well as operational leadership and risk management, before they are ready to sit behind the flight director console in mission control supporting NASA’s astronauts. When they do, they will become part of a group that numbers fewer than 100. This class will bring the total number of flight directors the agency has had to 97 since Christopher C. Kraft became the first flight director in 1958. Konyha, was born in Manhasset, New York, and finished high school in Mandeville, Louisiana. He served in the United States Air Force from 1996 until 2016, when he retired as a lieutenant colonel after holding a number of operations, engineering and leadership positions for numerous space systems. Since then, he has led the design, test, operations and disposal of all Department of Defense (DOD) payloads on crewed spacecraft for the DOD’s Space Test Program office at Johnson Space Center. Konyha holds a bachelor’s degree in mechanical engineering from Louisiana Tech University and master’s degrees in military operational art and science, and science and astronautical engineering from Air University and the University of Southern California, respectively. Wondering what it takes to become a flight director and how the new group is feeling? They will be answering questions live from the @NASA_Johnson Twitter account today at 4:30 p.m. Use #askNASA when posting your questions. So now we have pronunciation guides for PAWL and re-BECK-uh.